LANSING — Gov. Gretchen Whitmer has kickstarted efforts to set a statewide standard for PFAS, hazardous chemicals that are increasingly befouling Michigan waters. The Democrat on Tuesday directed the Department of Environmental Quality to begin the process of establishing a drinking water standard for how much of the chemicals are unsafe. Whitmer ordered a state group, the PFAS Response Team, to convene a scientific workgroup to review other health-based drinking water standards for the chemicals. Whitmer indicated the process would be accelerated and ready for public comment by Oct 1. Some Republicans and industry groups, however, are already signaling objections, saying Michigan should defer to federal regulators. Like most states and the federal government, Michigan lacks a standard for PFAS, which is shorthand for per- and polyfluoroalkyl substances that were used in a variety of household and industrial products. Without a standard, Michigan regulators lack leverage to force water systems to address contamination. The DEQ this year found PFAS at various levels in 119 of the state’s 1,114 public water systems, as part of a $1.7 million sampling effort. Used in products including Teflon and Scotchgard, PFAS is linked to low birth weights, immune system troubles, thyroid problems and cancer. It was used extensively on military bases in firefighting foam, and a growing number of veterans fear exposure caused health problems. “I commend Gov. Whitmer for directing swift action to protect our drinking water, our children and our families,” said Anthony Spaniola, a Troy attorney who has become an advocate for Michiganders affected by PFAS. Whitmer’s move comes as some Republican leaders have expressed skepticism the state has enough information to establish a PFAS standard. “The governor’s proposed rule will be vetted and scrutinized by the Senate and will be subject to the regular rule-making process,” Shirkey said. In the House, Rep. Gary Howell, R-North Branch and chairman of the Natural Resources Committee, told Bridge this month that setting a drinking water standard for PFAS is one of his top issues, and he awaits direction from Whitmer. The group’s executive director, John Dulmes, noted the vast majority of state water systems tested negative for any traces of the chemicals. “We believe the EPA and other federal agencies are ultimately best-positioned to develop such rules, and have reinforced their commitment to do so,” Dulmes said in a statement. In June, however, another federal agency offered different guidance. A report from the Agency for Toxic Substances and Disease Registry, part of the Centers for Disease Control, produced a “minimal risk level” far below the EPA threshold: 7 parts per trillion for PFOS and 11 parts per trillion for PFOA. A few states have come up with their own numbers. For PFOA, that ranges from 14 parts per trillion in New Jersey to 35 parts per trillion in Minnesota. Vermont, meanwhile, has a standard of 20 parts per trillion for five different PFAS chemicals. In Michigan, state Rep. Winnie Brinks, D-Grand Rapids, introduced stalled legislation the past two years drinking water standard for PFAS at 5 parts per trillion, lower than any other state. Setting a drinking water standard is a multi-million dollar proposition that would force contaminated systems to install special filtration systems or switch to cleaner water sources. In a 2017 proposal, New Jersey estimated public drinking water systems would pay about $2,000 for quarterly testing in the first year. 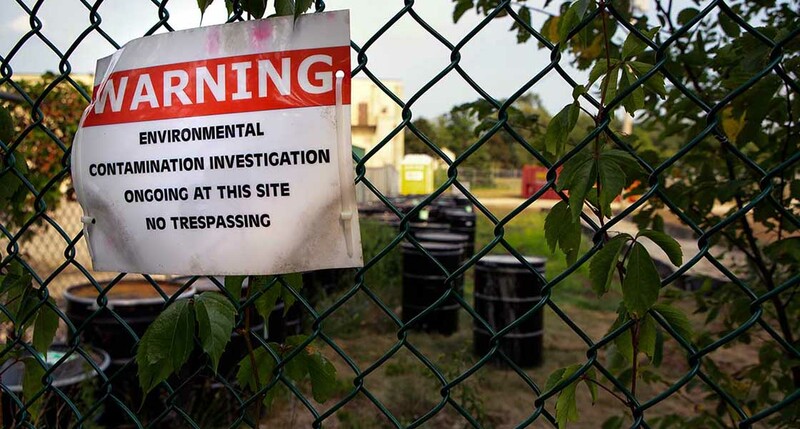 And prices for a “granular activated carbon” system that could filter out PFAS ranged from $500,000 to $1 million, according to New Jersey’s Drinking Water Quality Institute, a state research panel. Keith Cooper, chairman of the institute and a Rutgers University professor, told Bridge last year that New Jersey minimized disruption among utilities by phasing in its standards. “A lot of the water purveyors knew this was coming already,” he said. Some Michigan water providers have already taken action on PFAS. A report this month by MLive detailed millions in PFAS-related spending by local governments — from Ann Arbor to Grayling — to extend new water lines, upgrade filtration systems, buy bottled water and hire legal help. Left uncertain is whether Whitmer will face roadblocks from a new state law discouraging regulations stricter than those of the federal government. “That’s something that we have to be mindful of and figure out how to navigate,” Whitmer told reporters Tuesday. Republicans said the measure would bolster transparency by requiring agencies to more clearly explain the need for new regulations. Democrats and environmentalists called the “clear and convincing” standard a high bar to meet in court, saying the law makes agencies more vulnerable to litigation. Bill sponsor Rep. Triston Cole, R-Mancelona, said it would not affect PFAS rulemaking or other regulations where no federal standards exist. But Nick Occhipinti, government affairs director for the Michigan League of Conservation Voters, is among critics who say there’s no way to know for sure — until the dispute ends up in court because the law's language is so broad. A group of Democrats last week introduced longshot legislation to repeal the no-stricter-than-federal standard. "A single federal standard does not meet our needs,” Rep. Donna Lasinski, D-Scio Township, said last week while unveiling the repeal bill. Bridge reporter Lindsay VanHulle contributed to this report. Gov. Gretchen Whitmer’s proposal to boost gas taxes by 45 cents would also make Michigan’s electric vehicle fees the highest in the nation. Critics say that comes atop other state policies that have discouraged sales of cleaner cars. Gov. Gretchen Whitmer’s administration says cutting $5 million from the Pure Michigan marketing budget will free up money for roads and schools. But two key House and Senate Republicans want to keep the popular campaign intact. Why would the GOP want to protect poisonous PFAS and allow them to continue to be poured into our environment? WHY?